The last thing Dawson Black expected was Bethany Williams. As a Luxen, an alien life form on Earth, human girls are... well, fun. But since the Luxen have to keep their true identities a secret, falling for one would be insane. Bethany can't deny the immediate connection between her and Dawson. And even though boys aren't a complication she wants, she can't stay away from him. Still, whenever they lock eyes, she's drawn in. Dawson is keeping a secret that will changer her existence... and put her life in jeopardy. But even he can't stop risking everything for one human girl. Or from a fate that is as unavoidable as love itself. Shadows is such a great prequel to this series. I, personally, think its best if you read it after the first book and before the second book. I think it adds more suspense to book two especially when they are speculating what happened to Dawson and Bethany. I really love prequels and honestly think they just add to the story that is already being told. I haven't come across a prequel that I didn't like and this one fits in with that category. The story of Dawson and Bethany is told a little quickly (duh, it's a prequel) so you have to remind yourself that it is supposed to be that way. It's not supposed to be a full length novel with tons of time for these characters to get to know each other and fall in love, so there is a bit of insta-love in there, but if you love the series already you probably won't care. The story of Dawson and Bethany is truly heart warming and it really makes you see Daemon (the main male character in the Lux series) in a whole new light. You understand why he was so put-off by a friendship with a human and why he didn't want that risk tied to his family again. If you read Shadows and you don't want to continue on with the whole series you are insane! This was really a nice addition to the amazing Lux series that Jennifer has already begun to create. If for what ever reason you are STILL contemplating whether you should start reading the Lux series or not you should definitely read this prequel to finally see that, yes! this is the series for you! 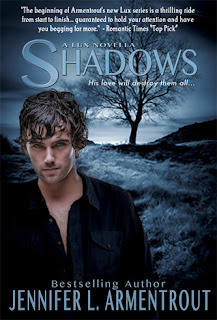 Shadows is a really touching story about Daemon Black's brother Dawson and the human girl Bethany he fell in love with. It tells the short version of their love story and what ended up happening to them. 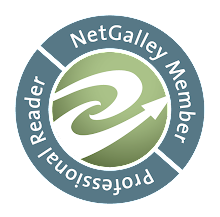 It is a great short story for those who haven't decided if the Lux series is for them, and also a great story overall to read even if you are past book two in the series. I highly recommend this as a read to those fans of the Lux series or future fans. ooh, so glad you liked the prequel. I'm still getting through the first book, pretty good so far, but glad you recommend to read it after the first!